The Board of Trustees provides strategic direction and oversight for the Active Partnerships charitable company and comprises a diverse team with six members drawn from Active Partnerships and four from other sectors, all appointed for the value they bring to our work. 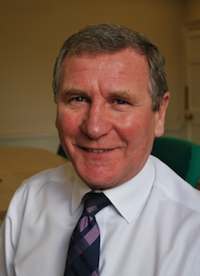 Doug has held the post as a Local Authority Chief Executive for the past 17 years, serving three different Councils, most recently for the London Borough of Bromley. In these roles he has developed extensive competencies, skills, knowledge and experience working in this challenging, political environment. Previously his roles have been Director of Community Services, Director of Health & Recreation; starting his Local Authority career in Sports Centre Management. Doug’s first and committed passion has always been sport, starting his career teaching in the east-end of Glasgow and coaching a variety of sports at his local sports centre. In his wider community role, more recently he coached the Bromley Handball Squads for the London Youth Games. Doug is particularly driven by the contribution that sport makes to the social, physical and mental wellbeing of children and young people. On a personal level, Doug is very keen on personal fitness, regularly cycling to work and when work commitments allow, he enjoys a round of golf. Mike has a career spanning nearly 25 years in Sport and Leisure that has been predominantly focused on managing venues. He is currently Head of Leisure and Culture with Darlington Borough Council and the strategic lead for Sport, Theatre, Heritage, Culture and Libraries. He has a strong background in managing and delivering large scale capital projects, most recently including a lead role in the £16M restoration of the Darlington Hippodrome Theatre. Mike is totally committed to continuous improvement at the venues that he leads and thrives on the day to day operations and interaction with customers. Mike has a real commitment to the role of CSP’s, has been a Director with Tees Valley Sport for 15 years and fulfilled the role of Chair of the Board for the past 8 years. He is also involved at grass roots level with a whole range of Sports organisations throughout the north east on a voluntary basis. Mike is really looking forward to joining the CSPN board and feels that the network can play a pivotal role in making a step change in physical activity participation across the country. 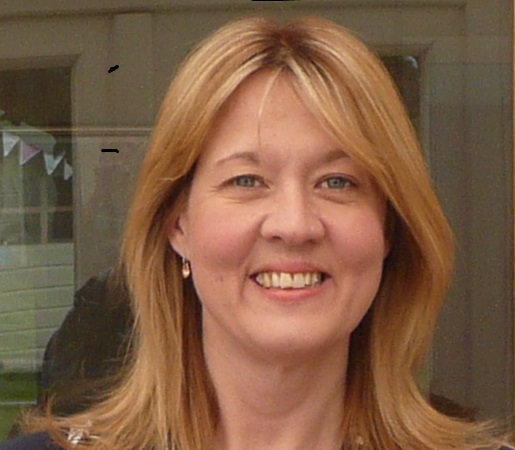 Sue is a communications specialist with over 25 years’ experience in the field of sports, fitness and active leisure. She is also a successful entrepreneur, having founded an agency, Promote PR, in 1994, which continues to specialise in raising profile for a wide range of clients in sport and fitness. Prior to setting up her own company, Sue worked in sports marketing for Gatorade at Quaker Oats Ltd and in sales and marketing at Cadbury Ltd.
Sue offers huge expertise on driving grassroots sports and physical activity participation through traditional public relations, along with social media and digital communications. 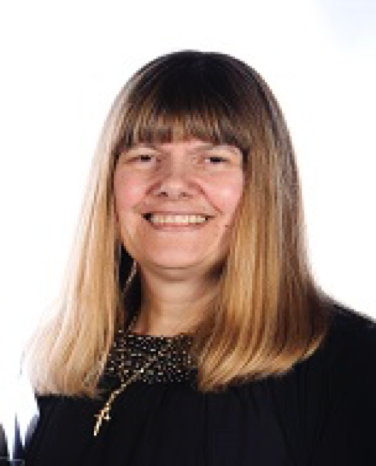 An experienced non-executive director, Sue’s current roles include Chair of Get Berkshire Active, Board member of Women’s Sport Trust charity and a member of the Supplier Council of ukactive. A keen sportswoman herself, Sue took up triathlon in 2013 and subsequently qualified to represent GB at various World and European Age Group Championships. “Having witnessed the superb work of various CSPs in recent years, primarily through my involvement with PROACTIVE London and more recently at Get Berkshire Active, I feel incredibly excited about the impact CSPs can have at a grassroots community level in the future. I’m privileged to be joining the CSP-N board at such a key time for sport and physical activity in the country”. Nigel has a long and a successful involvement with the CSP Network from both his executive and his non-executive roles. He is CE of a large CSP and a former NGB lead, leading and chairing a national group of CSP managers involved in NGB work. He is also a non-executive Board member and Chair of Governance with the Yorkshire Netball Association and Chairman of Oldham Community Leisure – an Industrial and Provident Society operating nine leisure facilities on behalf of Oldham Council. Nigel brings a strong track record in the sector coupled with experience of strategy development and governance within a number of related organisations. He is also an accredited sports tutor and tennis coach. Sue began her career as a teacher of Italian and French. She then moved into education administration and took on responsibilities ranging from school place planning and school improvement to the development of special educational needs provision and early years’ places. Following this she took up a post in the Department for Education, working on a number of national initiatives, such as Asset Management Plans and school targets. She returned to local authority work as a Director of Education and then Director of Children and Young People’s Services. Sue now runs her own education consultancy business. She is particularly passionate about all children and young people having opportunities to achieve the very best outcomes. The importance of the very early years of childhood and the development of our young people’s emotional intelligence and resilience are areas of specific interest. Sue is also a champion of the importance of physical activity and sport in young people’s physical and emotional development and she has just been appointed Chair of LEAP. Matt is Chief Executive of Local Trust a Charity whose mission is to enable residents to make their communcites and their area even better places to live. He has held a range of senior policy and leadership roles at the interface between the state and not-for-profit sectors, including CEO of Housing Association Charitable Trust, Associate Director at ResPublica, Chief Executive of Capacitybuilders and Director of Policy and Communications at the Housing Corporation and as a senior civil servant at the Cabinet Office, and has served as a Board member of the Accord Group and of Caldmore Area Housing Association. Matt offers a long-standing interest in and commitment to grassroots sports participation having created and run a small martial arts club and established a youth football based charity in Camden. Over the last four years he has been founding chair of a social enterprise, Shared Assets Ltd, which provides support to communities and landowners to find financially sustainable community-based uses for green space and other environmental assets. Matt brings considerable experience of working in and with government and its agencies, leading organisational transformation and change, and developing sustainable commercial operating models within the not for profit sector. He is looking forward to bringing all of this to the CSPN - "I've been looking for a way to contribute to the development of sport and physical activity at a strategic level, but with a big focus on achieving real practical impact at local level. The CSPN brings together so much fantastic work by organisations across the country - I can't wait to join in and help make a difference". Adrian has been the CE of Lancashire SP (LSP) for over 10 years following an earlier career in local government where he held positions in community safety and youth offending. At LSP he has grown and established broad networks and partnership working with a wide range of stakeholders beyond the traditional sports and leisure organisations, including public health and third sector organisations (MIND, mental health trusts, Groundwork), housing associations and DCLG, the Home Office and the local Police Crime Commissioner, tourist bodies and other government bodies. Adrian offers good experience of partnership and joint working at a regional level and a background in strategy development and implementation. Adrian holds a number of non-executive roles, including Chair of the regional ASA, Chair of the NW CSP Group and Chair of Third Sector Lancashire. Adrian is looking forward to joining the board, “I believe that CSPs have the potential to make a more significant and wider contribution to health outcomes and the economy, I wanted through involvement with the CSPN Board to help shape the direction of travel and support the dialogue with national bodies to enable us to be seen as an invaluable strategic partner nationally and locally in achieving this goal”. Marg is the Chief Executive of a social enterprise and leisure trust offering leisure and health services, including the largest ‘pay and play’ golfing operation in the UK with 16 sites across the Midlands and the South, and an award winning child weight management programme that extends nationally. Marg joined Mytime Active from the international development charity, VSO, where she was Chief Executive, and combining this experience with an interim role at Volunteering England, she is committed to the importance and power of volunteering to build a stronger and healthier society. Having qualified as an accountant early in her career, Marg brings financial and commercial skills from worked in a range of finance roles in the third sector, including as Finance Director of a large Housing Association and of the British Council. Alongside her paid work, Marg has held a number of national and local non-executive positions with not-for-profit organisations, including Sporta (where she is currently the Treasurer), Akram Khan Dance Company and the Nationwide Foundation. Ali has enjoyed a career within leadership, organisational development, HR and Learning and Development for over 20 years. As a Chartered Fellow of the CIPD she is a passionate advocate of business improvement and developing high performing teams, with a genuine enthusiasm for any organisational approach which places people at the heart of its vision and strategy. She has a strong background working in strategic people leadership roles, especially in commercial environments and has enjoyed developing her own successful management Consultancy business. She brings to the board extensive experience in effective strategic business planning, coaching and behaviour profiling as well as understanding governance arrangements and the development of effective Board ways of working. She thrives on helping organisations transform through developing its workforce and believes in the importance of understanding the style and strengths of the individual and teams. Having worked within the sector for a relatively short time across a few years, Ali is hugely committed to helping CSPs develop, learn and improve opportunities which drive the achievement of their goals. She has recently joined the CSP Quest PMIF team and worked with West Midlands CSPs in helping design and align competency frameworks with their strategic plans. On a personal note Ali firmly believes in the power of sport as a tool for changing lives. With a lifelong passion for any and all sports, Ali now enjoys, when limited time allows, her passion for rowing forged from University days. More and more she spends her time travelling the West Midlands helping her children play out their growing love of sport and being a side-line cheerleading Mum! Ali says “my experiences within the sport and physical activity sector have inspired me; I’m excited to join the Board, and help reach and engage with the broader CSP network, ensuring learning and skills improvement sits at the heart of their success in transforming lives through participation in sport and physical activity”. Eamonn is a former senior officer in local government sports and leisure. He has a track record of promoting sports and physical activity programmes and strategies to maximise sport an all levels, from developing sports facilities within Manchester to active involvement in bidding and attracting major sporting events to the City, including the Commonwealth Games, World Squash Championships, World Indoor Championships and seven other national championships which are held in Manchester each year. His interest in sports has extended into a range of non-executive over a period of 15 years with regional sports and leisure organisations. He has chaired the Velodrome Trust and the Forum Futures Board and is currently a Board member with the Trafford Leisure Trust and the Greater Manchester Sports Partnership. Eamonn has a wealth of experience in working with local authorities and government in the field of leisure, sports and active lifestyles, and has considerable involvement in local and regional sports, as well as playing and supporting the development of strategies to grow the water polo at a national level. Eamonn motivation for wanting to Join the CSP Network Board is to be able to contribute at a national level to the strategies for sport and active lifestyle and to influence policy making that impacts directly to an increase in opportunity for people to access sport at a local level. This is a passion of mine and I want to influence a change in line with emerging Sport England strategy's to increase participation within communities.